New developments in the case of dissident Saudi journalist Jamal Khashoggi’s murder revealed Thursday show Saudi Arabia appearing to move away from its original claim that his death was an accident, saying now it was premeditated. After The Washington Post columnist disappeared on Oct. 2 after being last seen entering the Saudi consulate in Istanbul, Turkey, Saudi Arabia claimed Khashoggi left the building unharmed. After Turkish investigators began looking into the disappearance when Khashoggi’s wife, who was waiting for him outside the consulate, said he never came out, Saudi officials changed their story saying he could have been killed in a “rogue” and unsolicited attack. While Turkey has maintained the belief that Khashoggi was dismembered in a premeditated act, Saudi officials said on Oct. 19 in another shift that he was killed in a fight that broke out in the consulate. The kingdom’s latest statement seems to walk back all earlier claims, as the Saudi attorney general said Thursday that after reviewing more evidence given to the nation by Turkey, Khashoggi’s killing was premeditated, The Wall Street Journal reported. “Public Prosecution received information from the Turkish side through the Joint Working Group Between the Kingdom of Saudi Arabia and Turkey that indicates that the suspects in that incident had done their act with a prior intention,” a statement presented by the Saudi Press Agency said. This latest shift in narrative projects more doubt onto the kingdom as the murder has turned into a global spectacle with nation leaders around the world calling on Turkey and Saudi Arabia to get to the bottom of his death. U.S. President Donald Trump said Tuesday that Saudi Arabia’s version of the story is “the worst cover-up ever,” which is a shift on the administration’s part, in which Trump originally appeared to believe the Saudis had nothing to do with the death. CIA Director Gina Haspel reportedly heard the audio recordings Turkey purported to have that captured Khashoggi’s interrogation and murder, according to The Washington Post. “Not only will there be more pressure now from the media but Congress will say, ‘Gina, we would love to have you come visit and you can tell us exactly what you heard,'” said former CIA official Bruce Riedel. 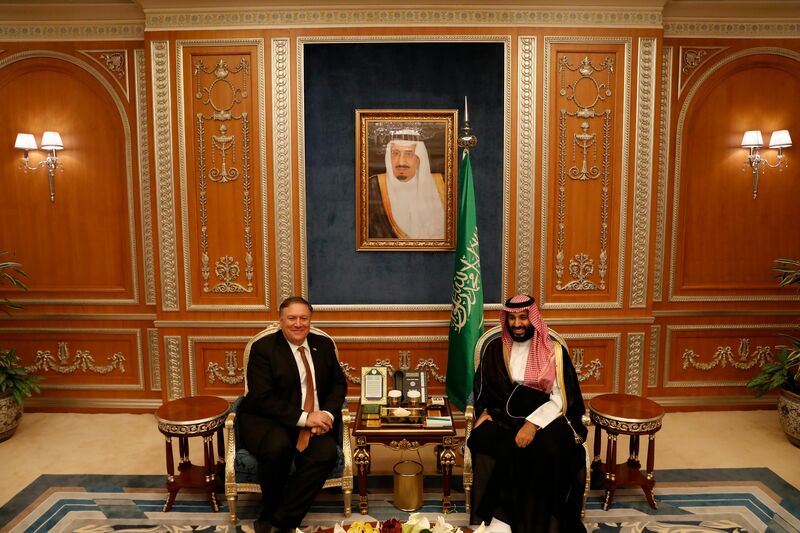 Britain joined the U.S. Wednesday in taking concrete steps toward punishing the kingdom by revoking the visas of 21 Saudi Arabian officials thought to be involved in the murder.